There was no playoffs this season for Rob Covington but that hasn’t stopped the Minnesota Timberwolves star from contributing this April. The former Tennessee State star donated $75,000 to his alma mater’s basketball team recently. 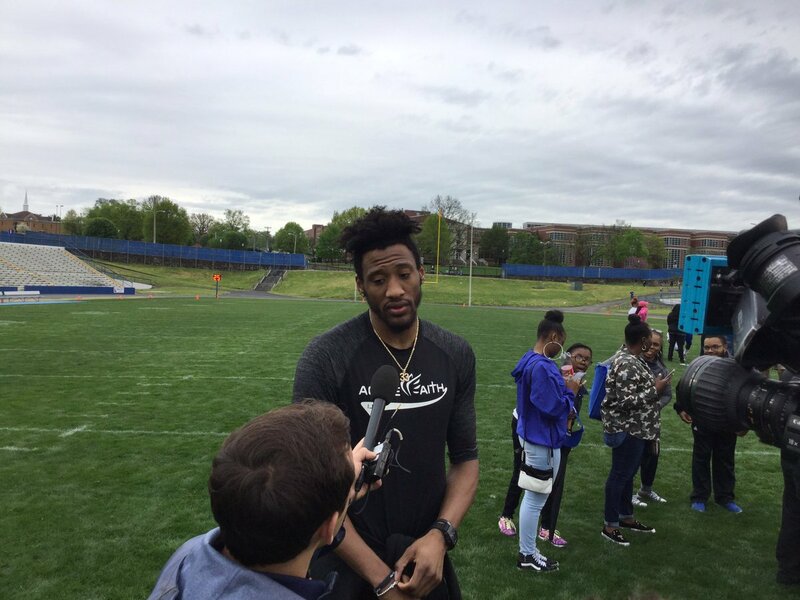 “I’ve had opportunities to give back before but now its at a different threshold,” Covington told WSMV on Saturday at the TSU spring football game. “I was able to give more to give back to where helped mold me as a young man. He told reporters he wanted to pave the way for future Tigers. Covington has worked his way up the NBA ladder from the bottom up. He took the D-League by storm after going undrafted in 2013, and eventually worked himself into not only a starter but a premiere long-range shooter and defender in the NBA. That earned him a four-year, $62 million extension in 2017 which allowed him to really open up for his alma mater. “Being a kid that went undrafted, to making the All-NBA (Defensive) First Team, to putting myself in position to where I was able to you know, show things that anything is possible. One of only two HBCU products in the league along with Indiana’s Kyle O’Quinn, Covington averaged 13.3 points and 5.5 rebounds during the 2018-19 season.